Awhile ago, both my sons expressed interest in having necklaces after they saw their sister receive their first necklace. In fact, I think it was last Easter. 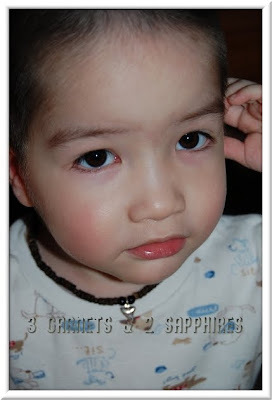 So for almost a year, I had been searching for the right necklaces for my two sons. I wanted them to be boyish and still match with most everything. 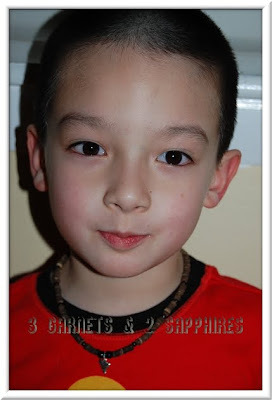 I had a really hard time finding anyone who made boys necklaces small enough for preschoolers and kindergartners in a style that was not too babyish. I finally came across these Boys Surfer Shark Tooth Necklaces made with Heishi wooden beads plus a sterling silver shark tooth charm, lobster claw clasp, and extender. 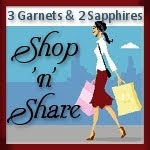 These are made and sold by the Etsy shop owner of Butterfly Gem and sell for $17 each plus shipping. The owner Alicia was very nice to deal with and she helped me figure out what sizes I needed for each boy. The extenders make these necklaces adjustable and should last for quite a few years if my sons take good care of them. We ended up giving these necklaces to both our boys in January for their birthdays. Our 3yr old was thrilled to have the same necklace as his big brother. This shopping experience was based on a purchase I made personally. I was not compensated in anyway for sharing this experience with my readers.